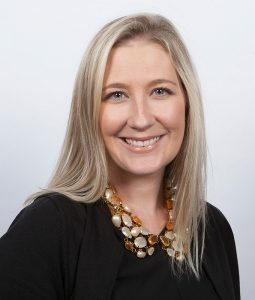 The Town Center Community Improvement District (TCCID) announced today that it has hired Jennifer Cain as Development Director of the Town Center Community Alliance, the nonprofit partner organization of the TCCID. Cain will play an integral role in advancing the priorities of the newly formed Town Center Community Alliance (TCCA), whose mission is to look beyond infrastructure and envision a “heart and soul” for the Town Center community. As a separate 501(c)3, the Town Center Community Alliance invests philanthropic funds into projects to enhance, construct and maintain the trail systems, public parks and greenspace, as well as provide education, programs and services for the Town Center CID and surrounding community. Cain comes to the TCCID from the Marietta-based Center for Family Resources (CFR), where she served as Development Director since 2014. She was a member CFR’s executive leadership team, with shared responsibilities for all fundraising initiatives, including the growth of the annual revenue budget. In this role, Cain increased fundraising revenue by 53%. Prior to this, she served as Development Coordinator at CFR and brings over 12 years of fundraising and nonprofit experience to her new position. Cain is a Certified Fundraising Executive (CFRE) through CFRE International and a Certified Volunteer Administrator (CVA) through the Council of Volunteer Administrators. As an alumnus of Kennesaw State University, she is excited to work on projects that will have a direct impact on Town Center, a community that includes her alma mater. Share This Across Your Favorite Social Channel!